Oh dear. SwiftKey – the Android and iOS virtual keyboard bought by Microsoft earlier this year for a cool $250 million – has suspended a key component of the app after it was found to be leaking other users’ private data. According to The Telegraph, multiple SwiftKey users have found other people’s phone numbers and email addresses in their suggestions. One Reddit user reported seeing German-language suggestions on a freshly-rooted Samsung Galaxy S6 with the UK English pack installed, as well as someone else’s email address. SwiftKey believes this error is due to a bug in the keyboard’s synchronization feature, which used to keep user data updated between disparate devices. In response, it has deactivated this feature while it remedies the problem. This is proving to be a serious headache for SwiftKey users, with many taking to Twitter to complain. Installed #Swiftkey beta. Still can't sync. 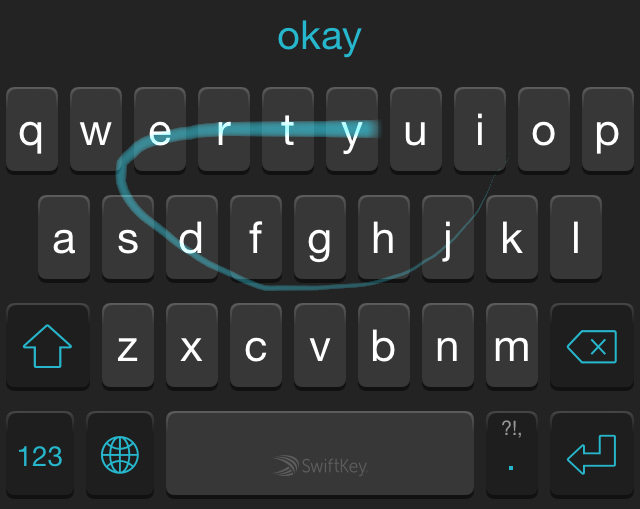 We’ve reached out to SwiftKey for comment, and to see when Sync will be restored. We’ll update this post if we hear back. Update: SwiftKey has issued a statement. “This week, a few of our customers noticed unexpected predictions where unfamiliar terms, and in some rare cases emails, appeared when using their mobile phone. We are working quickly to resolve this inconvenience. While this did not pose a security issue for our customers, we have turned off the cloud sync service and are updating our applications to remove email address predictions. During this time, it will not be possible to back up your SwiftKey language model.